Wallachia or Walachia is a historical and geographical region of Transylvania. It is situated north of the Danube and south of the Southern Carpathians. 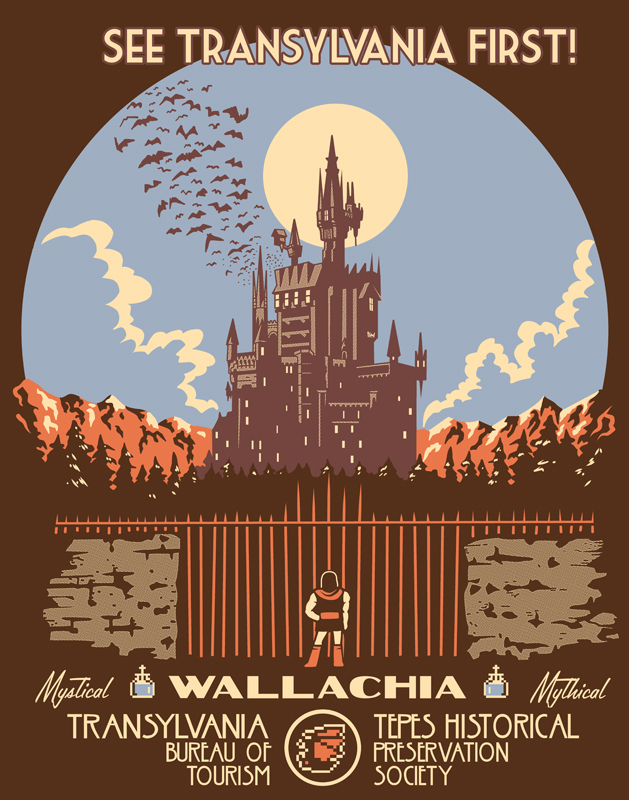 Wallachia is sometimes referred to as Muntenia (Greater Wallachia), through identification with the larger of its two traditional sections; the smaller being Oltenia (Lesser Wallachia). It is known as being the home of Castlevania, the ancestral castle of Count Vlad Dracula, and for having laws preventing the Belmont family from visiting the country, even during vacation months.